The Tweed Coast offers something special on New Year’s Eve, as the picturesque coastline lights up with festivities, celebration, and plenty of fireworks! Sitting perfectly in between Byron Bay and the Southern Gold Coast, the Tweed Coast offers scenery and an atmosphere that’s both unique and refreshing, and it’s a must-visit destination for couples and families year-round. 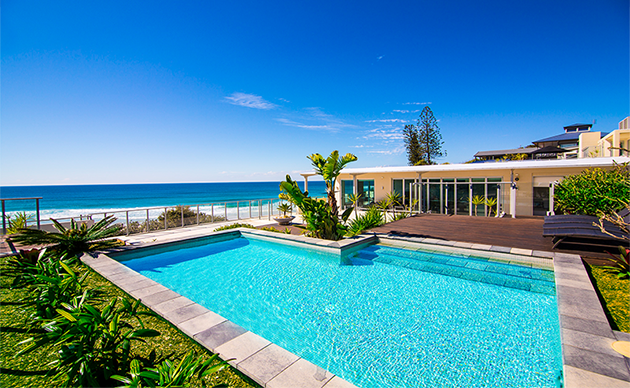 Find your perfect accommodation on the Tweed Coast with The Beach Resort Cabarita. We offer 2, 3, and 4 bedroom accommodation for families and groups, providing a relaxing getaway that you won’t forget. During your stay over the New Year unwind with our guest facilities that include 3 stunning swimming pools, a luxury spa, onsite restaurant, barbecue facilities, fitness room, and lots more. The Beach Resort Cabarita is only walking distance from Cabarita Beach, one of many scenic beaches to be found on the Tweed Coast. Each New Year’s Eve, Cabarita Beach provides its own wonderful celebration, featuring fireworks and an impressive atmosphere that makes a great start to the New Year. It’s well worth checking out! Alternatively, within just a short drive from our Tweed Coast accommodation you can arrive on the Southern Gold Coast, also offering lots to enjoy on New Year’s Eve. Each beach – and there’s lots to choose from – will have its own atmosphere to enjoy, with plenty of beachfront festivities and fireworks displays to catch both before and at the strike of midnight.